Your flooring solution specifically for the shipbuilding and offshore industries. Cruise liners, RoRo ships, container vessels, mega yachts, navy ships or oil rigs – the modern shipbuilding sector and state-of-the-art offshore facilitates require a high level of technical expertise as well as reliable and primarily resilient technologies not only to cope with the challenges of the world's oceans, but to also provide people with a modern and safe environment at sea. 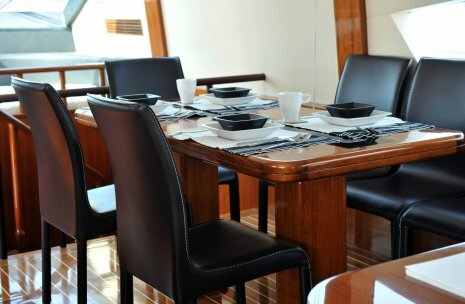 We have developed a special type of flooring to meet these specific requirements: PURLINE Sea. 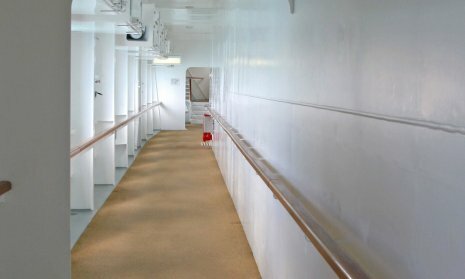 Our exceptional, unique floor coverings fulfil these complex requirements in the maritime sector and therefore provide the best foundation. PURLINE Sea is probably the most environmentally-friendly elastic floor covering currently available on the market. It is made from natural and renewable materials, contains no toxic additives and is the perfect solution for a variety of situations and applications. PURLINE Sea provides special fire protection qualities especially for the shipbuilding and offshore industries. 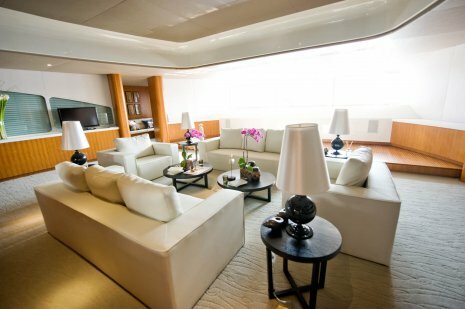 Thanks to its natural composition, PURLINE Sea flooring does not produce any toxic gases in the event of a fire and is particularly characterised by minimal smoke formation. PURLINE Sea fulfils all safety requirements in accordance with the current IMO regulations and is certified on the basis of the IMO 2010 FTP code, thereby complying with the existing SOLAS and EU regulations. PURLINE Sea bears the IMO licence number 124.121 and the licence number of the US Coast Guard 164.117/ECO736/124.121. All decors of the wineo 1500 collection an be supplied as PURLINE sea flooring from 1000 m².